On the outside, Saint Ann’s might seem like any other housing solution for seniors. But it’s so much more than that. The confusion over what we are might stem from the fact that our establishment has been a few different things throughout our history. But pretty much the last 100 and plus years, we’ve been involved in senior care. Since 1963, when our present building was built and its board was launched and its mission was launched, our purpose and goal was to reduce rent, reduce food costs, and reduce health care costs for seniors. That is the trifecta of amazing. Just think if that existed everywhere—if there was a Saint Ann’s for education, if there was a Saint Ann’s for hospitals! By design, we are about half the price of any other place in our community that does what we do, which is independent to full-on health care for seniors and to provide a place where seniors can age with respect, dignity, and in private apartments. And that’s another amazing thing about Saint Ann’s: there are no double occupancy situations. So it doesn’t matter if you have privately paid for the most expensive room in the building, or if you are on every subsidy under the sun—you’d never know one room from the other. I get asked a lot, “Who owns Saint Ann’s?” And the answer to that is that nobody owns Saint Ann’s. We have a board of directors who are all volunteers. I am the only employee who reports directly to them. We exist solely for the people who live there and that is it. And that all speaks to our mission and that’s why it works. Because what’s made here, what’s earned here, what’s lost here, all stays here. 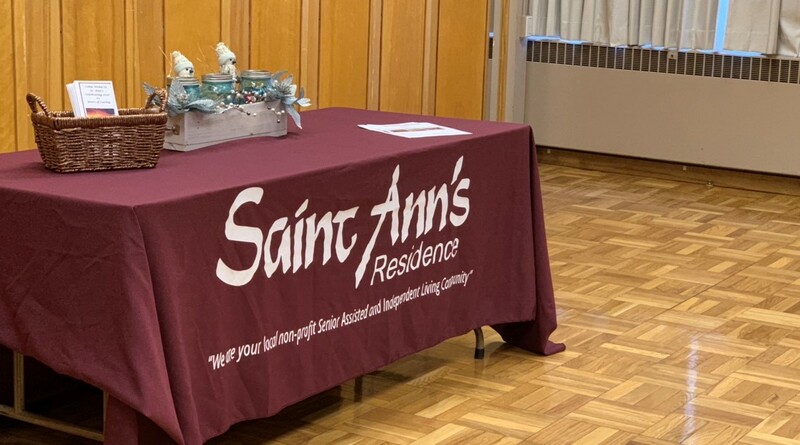 The last thing that separates Saint Ann’s from other senior living housing situations is that we don’t evict and we don’t deny housing if you can’t afford it. In fact, we do quite the opposite. We seek out seniors who can’t afford housing and we help them. I can’t tell you of the number of homeless seniors that we have taken care of and of the number of times seniors have shown up in a taxi cab with a garbage bag and some clothes from some other facility because their funds ran out. But that is an enormous part of our mission.